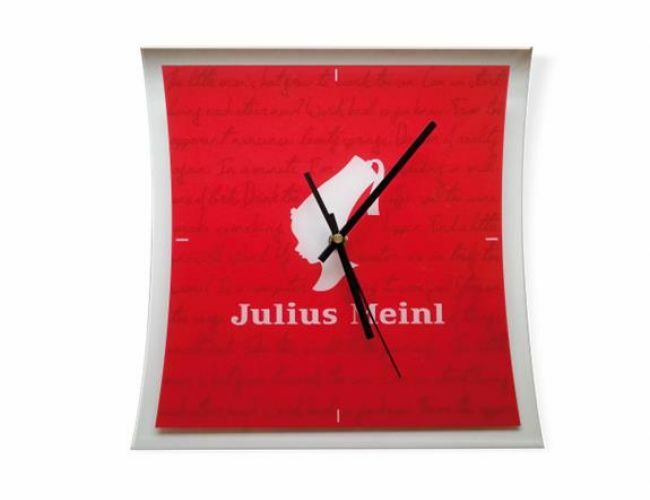 This elegant clock combines sleek design with the Julius Meinl logo and is perfect to watch time go by. A stylish accessory from Julius Meinl in red and white, perfect to compliment your contemporary interior by bringing in some color. Simply add that little something to your kitchen with this eye-catching design.